Good ester solubility, and compatibility with polyurethane resin, the hydroxyl-modified vinyl resin is steaming and boiling resistant, having excellent dispersibility to pigments, providing combined strength. It is white powder、ester soluble with colorless and transparent solution,and it has with excellent solvent release、film-forming、dispersibility、color contrast property and wettability,moreover, it has excellent dispersibility in pigment and has very good adhesive force on PET,which can completely replace T5HX grade of Kaneka etc. 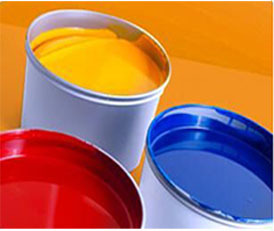 Hydroxyl-Modified Vinyl Chloride/Vinyl Acetate Terpolymers is mainly used for application gravure plastics composite printing inks、PU inks、can sealed coatings、plastic coatings、magnetic tape and carbon tape adhesive etc.